On the brink of Krypton’s destruction, General Dru-Zod attempted to seize power in a desperate effort to save its people. For his rebellion, Zod and his followers were sentenced to death, but Jor-El convinced the Council to exile them to the Phantom Zone instead. 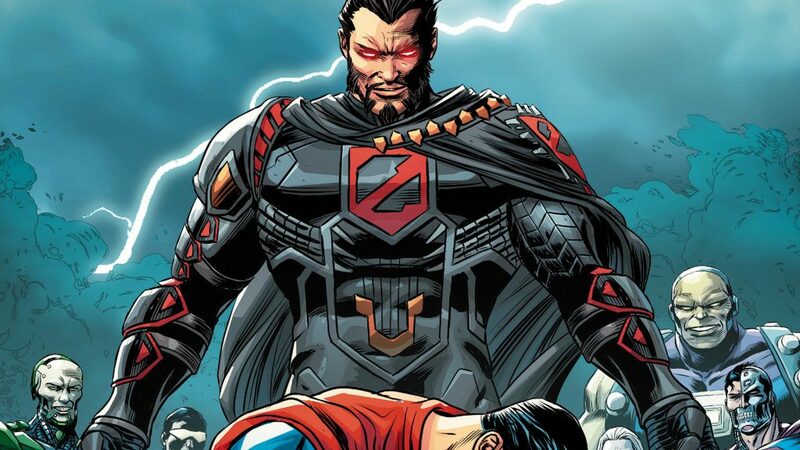 Now free from his extra-dimensional prison, Zod seeks vengeance on Superman, the son of his enemy Jor-El, while he searches for a suitable planet to forge into a New Krypton. Free from the Phantom Zone, General Dru-Zod wields the powers of Superman in his quest for revenge on the son of the man responsible for his imprisonment. Heat Vision Strike: Special Damage to an enemy. Legendary: If Zod deals a Critical Hit, apply 1 Heal Immunity and deal additional 10% True Damage. Kneel Before Zod! : Gain 3 Int Ups and 2 Crit Chance Ups. 50% chance to gain 75% Turn Meter Up. Legendary: Extend duration of Buffs by 1 Turn. Freeze Breath: Heavy Special Damage to an enemy. Always apply 5 Int Downs. Legendary: Cooldown -1 for all of Zod’s abilities if enemy is killed. Warmonger: Zod gains +50% Crit Damage. Legendary: Can’t Miss on all attacks. New Krypton: All allies gain +15% Crit Chance. Legendary: If a teammate deals a Critical Hit, 70% chance for Zod to gain Death Immunity. +10% chance if teammate is Kryptonian. This is a brand new DC Legends character! Check back later for updated legendary order, synergies, counters and more!